We know you. You're the type of self-styled individual that likes to play by your own rules. You effortlessly mix work and play, transitioning from power lunches, to 2PM meetings, to 5PM happy hours, and you never change phones. You want your BlackBerry to make a statement -- a bold statement (but not that Bold). For you, Sprint and RIM proudly present a new color of the Curve 8330, "Inferno" -- and as the name implies, it blinds the retinas. It's available for $49.99 on after discounts on contract, the same you'll pay for the far less statement-making titanium and red variations. You do want to make a statement, don't you? 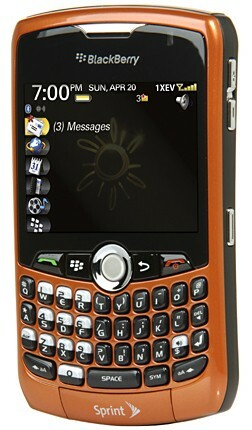 Sprint's crazy "Inferno" BlackBerry Curve 8330 now available originally appeared on Engadget Mobile on Sun, 12 Jul 2009 20:02:00 EST. Please see our terms for use of feeds.